argonsmash: woot done! fun hunt. The ending is spooky haha! 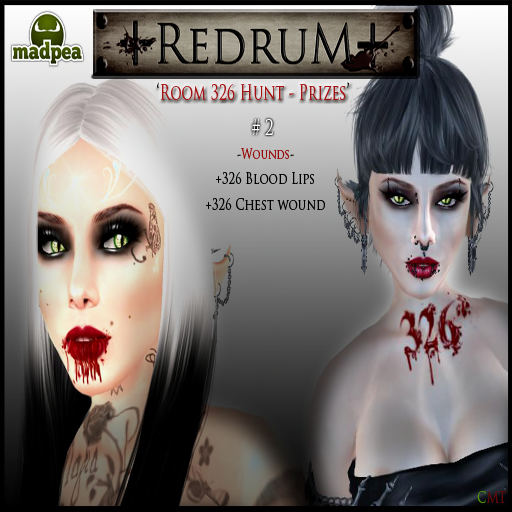 Good work madpeas. Darcie (dragon4164): omfg i loved this it was soo awesome !!! HollyIvey: fantastic hunt, thank you again! 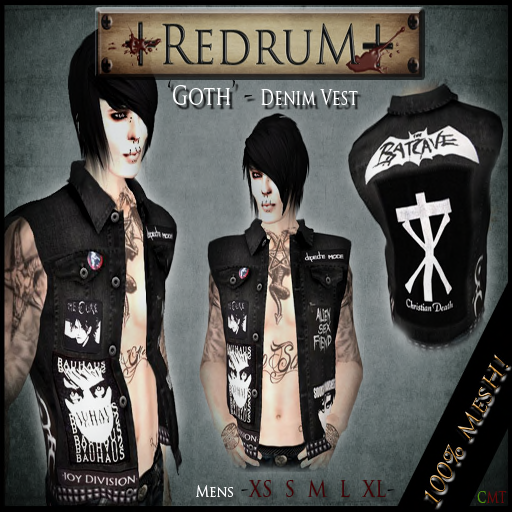 Mzzy: " +REDRUM+ is one of many creative avenues in my life, RL and SL. 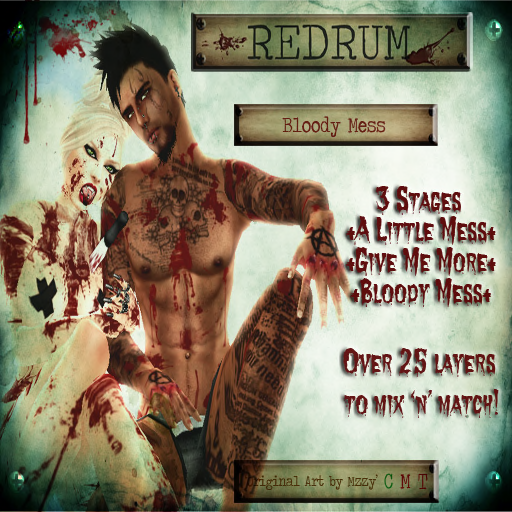 I absolutely love the inspiration that SL conjures for RL projects and the same in reverse! I am an artist through and through (I came to peace with that just recently ;) ) a tattoo artist, painter, writer and singer. 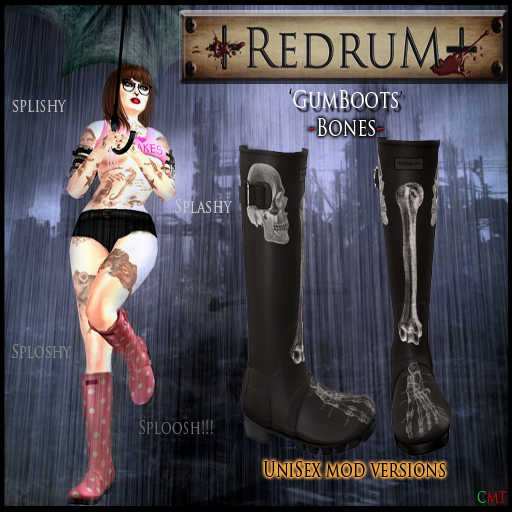 Being able to transform my RL creations into an SL one, just blows my mind! 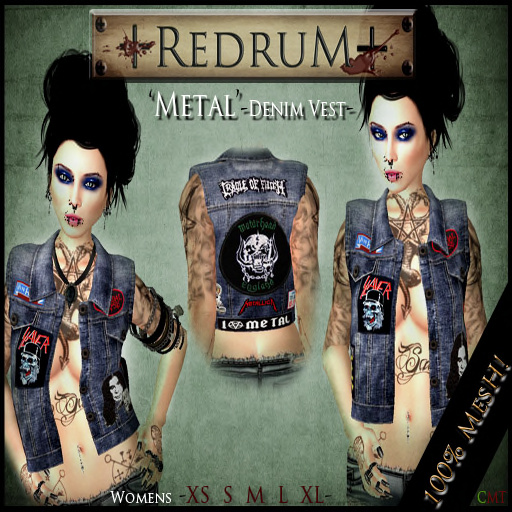 +REDRUM+ was mainly inspired by Role Play sims to begin with, where things like blood and wounds were in demand to match with someone's story, as well as outfits and tattoos! Especially Custom Tattoos! Custom work is still one of my most favorite things to do, hand drawn Tattoos or things that someone might want for a loved one but can't find anywhere! 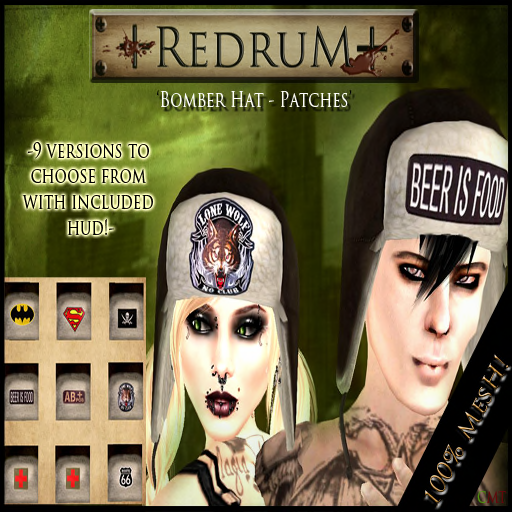 To see an original product on someone in SL and how much it makes them smile is awesome! 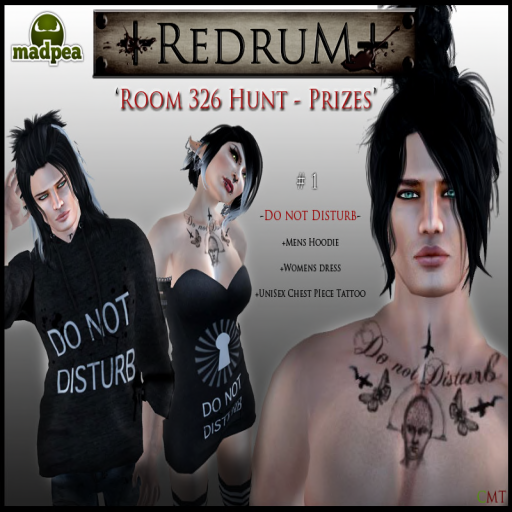 :) "
Mzzy: "I put together a little package of all things disturbed and Room 326 for this wonderful MapPea hunt! A Men's Mesh +DO NOT DISTURB+ Hoodie and a Ladies Mesh +DO NOT DISTURB+ Strapless Dress as well a UniSex +DO NOT DISTURB+ Tattoo Chest Piece! A wounds Packet with Exclusive 326 Blood Lips and a 326 Chest Wound! 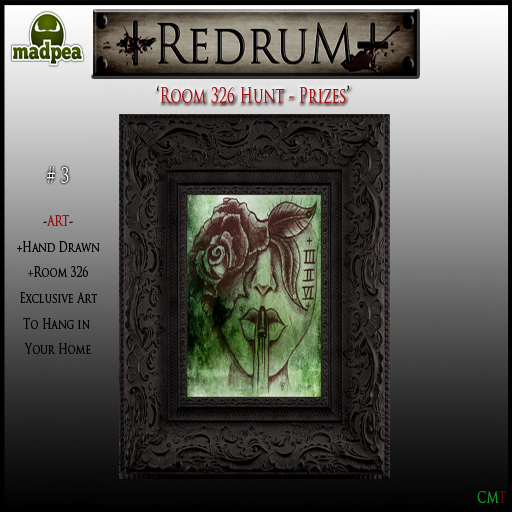 And last off a Framed Room 326 Inspired drawing for you all to hang on your wall after the hunt in memory of the great time you had!